'Rubbolite' Reverse light, uncoloured, CE connector. OE: Ch�reau. 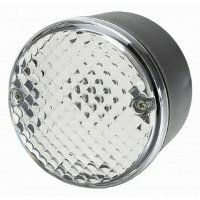 24 volt 63 LED clear reversing light unit. Current consumption at 24v - 200mA. 'E' approved.